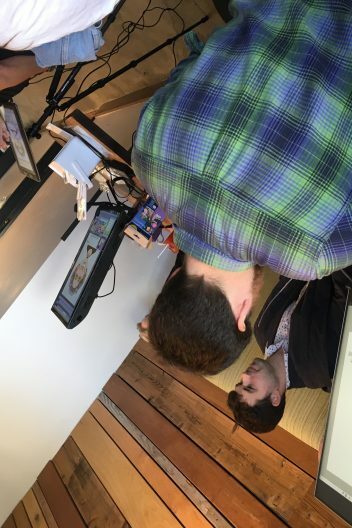 Thanks to Christine! 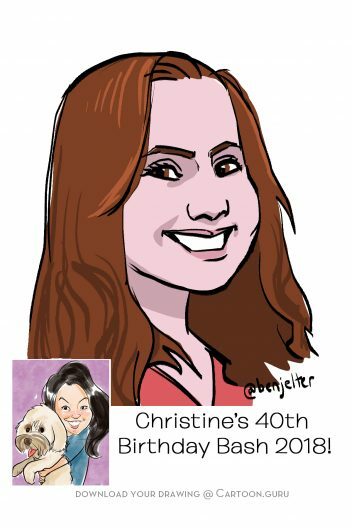 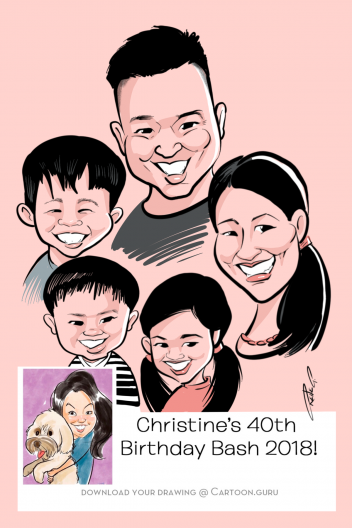 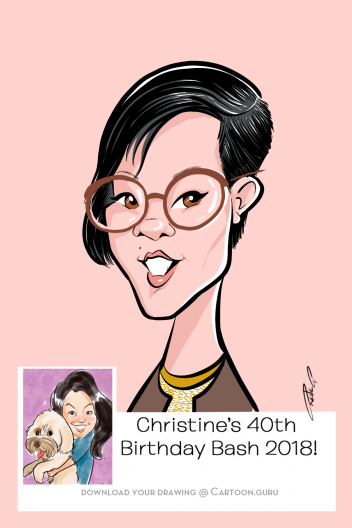 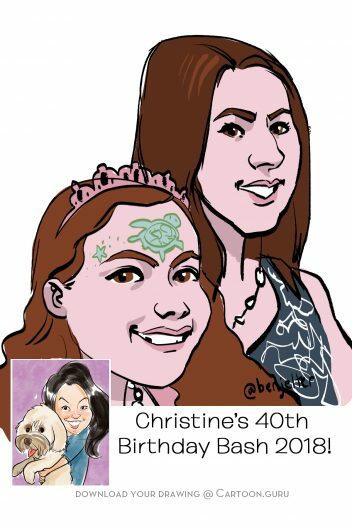 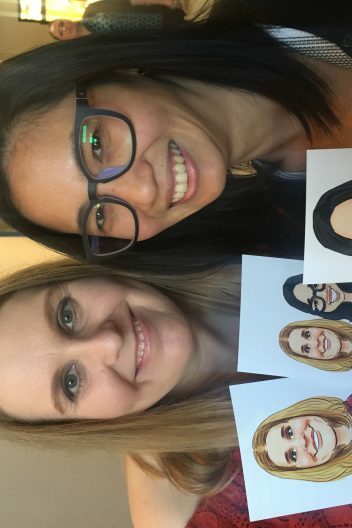 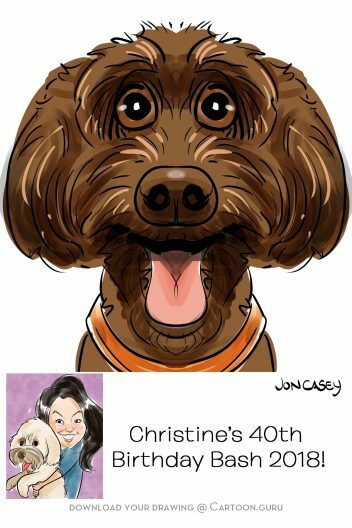 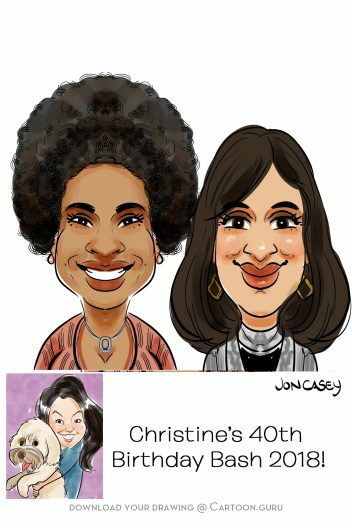 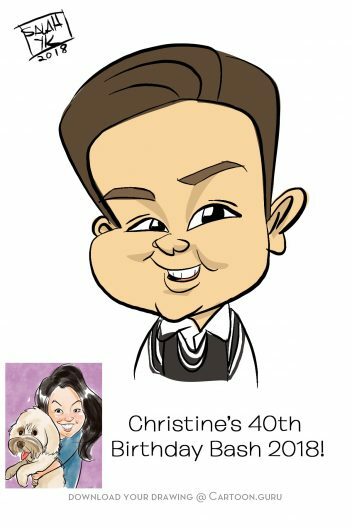 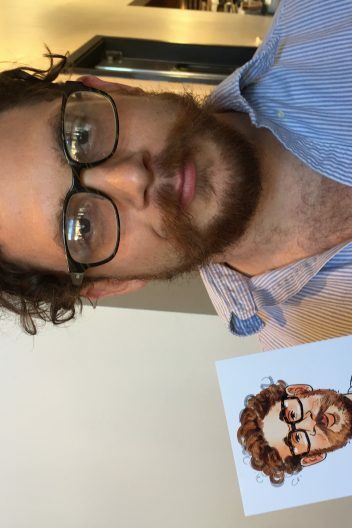 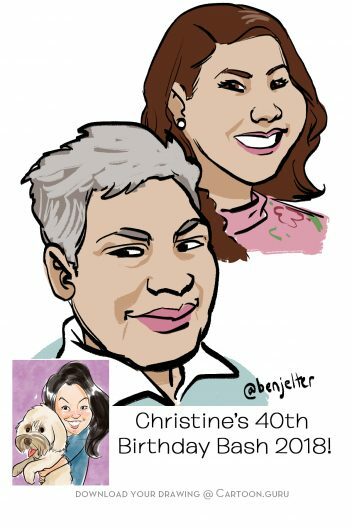 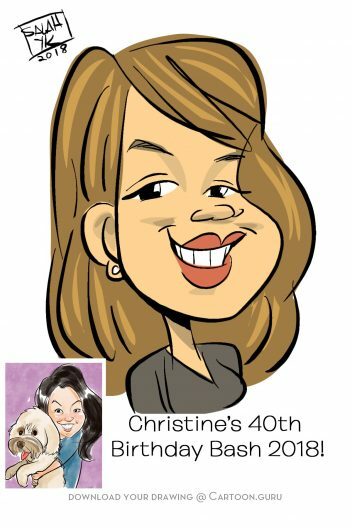 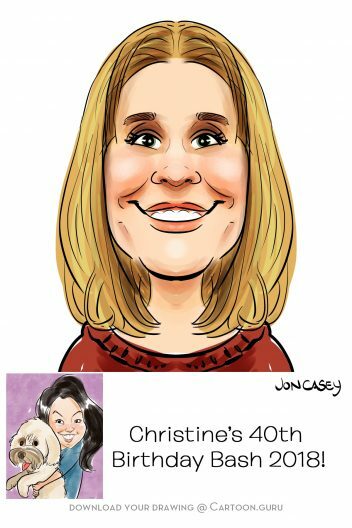 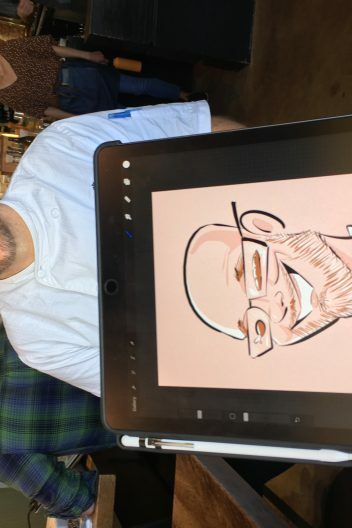 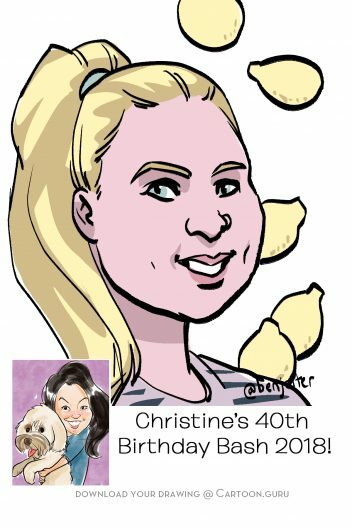 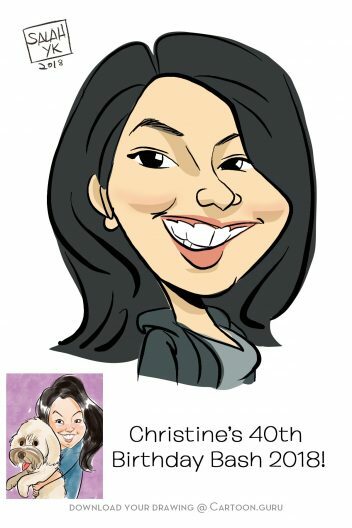 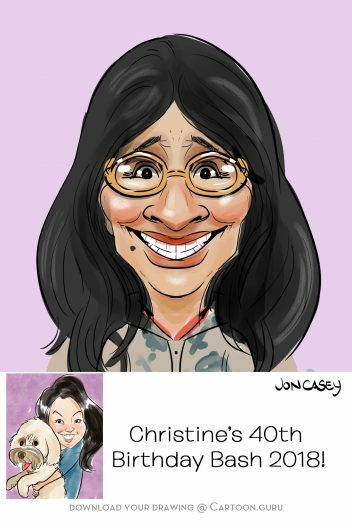 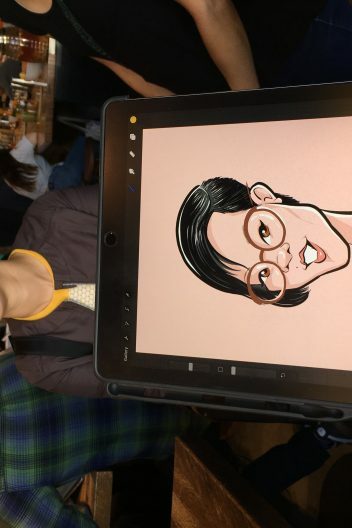 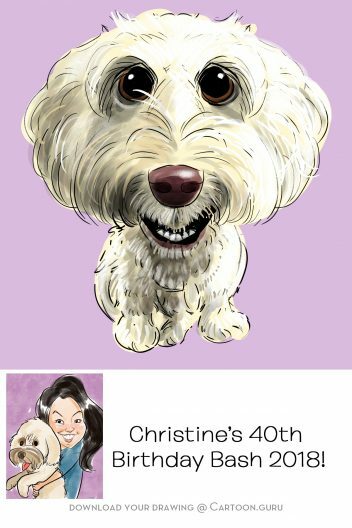 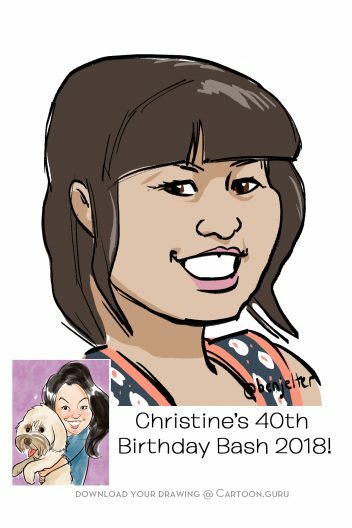 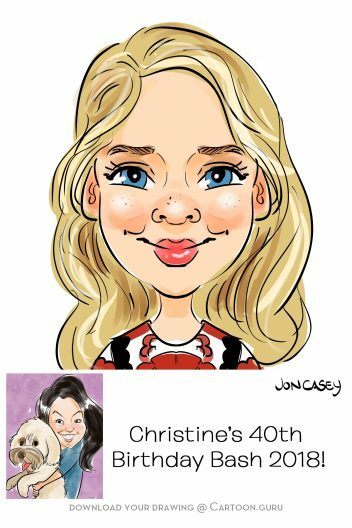 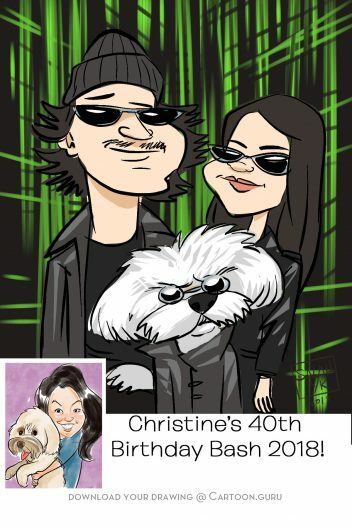 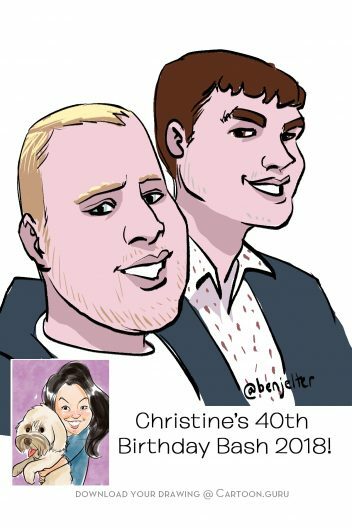 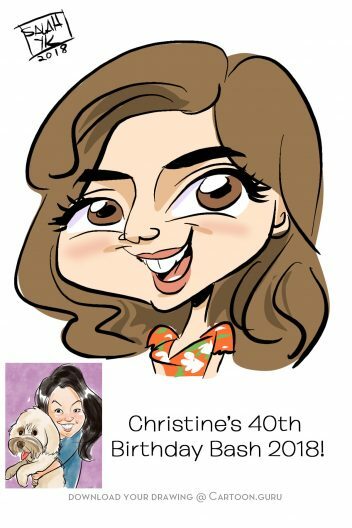 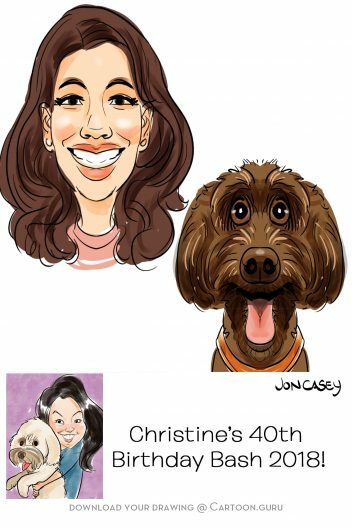 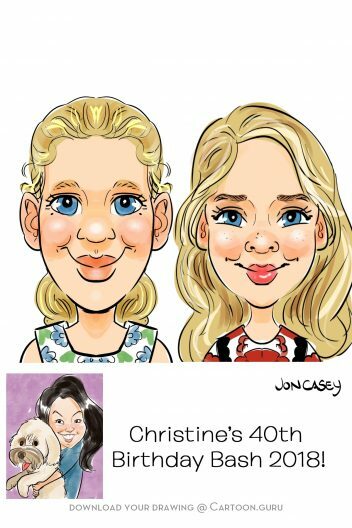 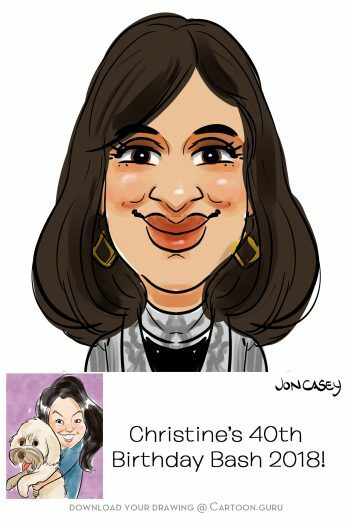 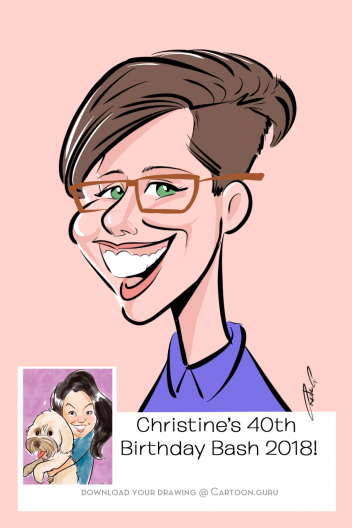 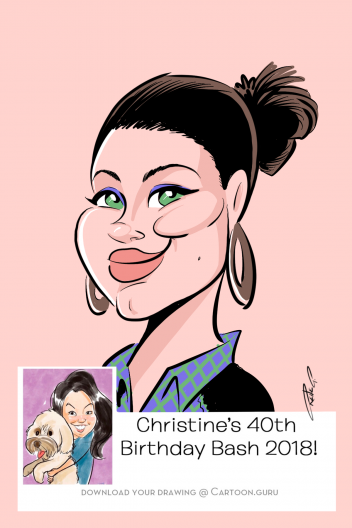 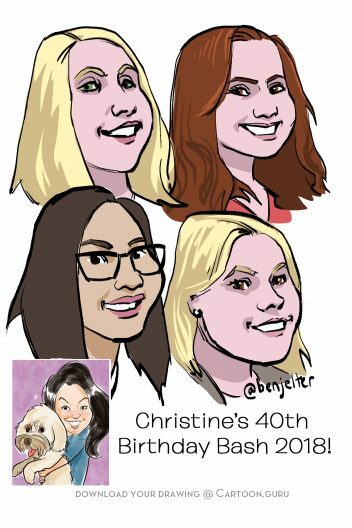 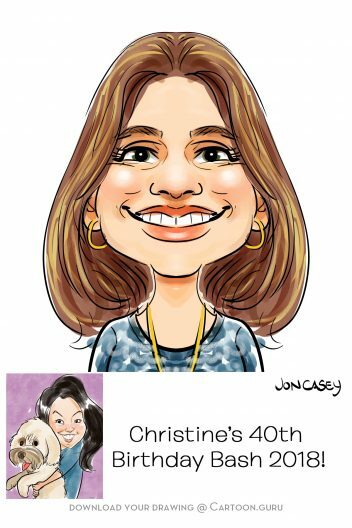 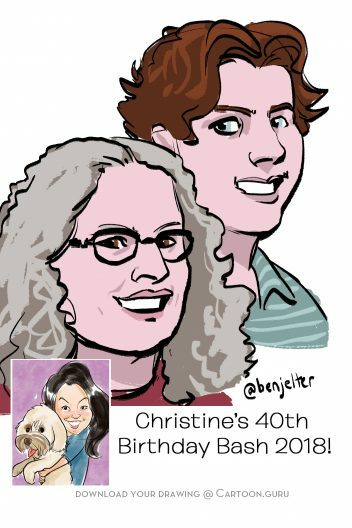 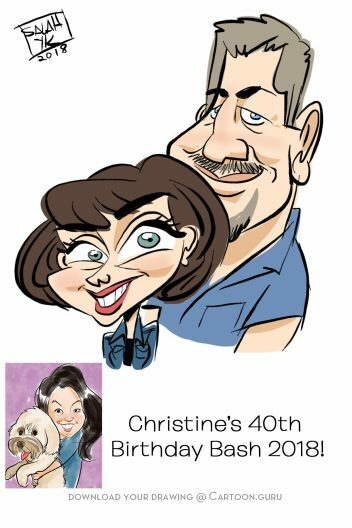 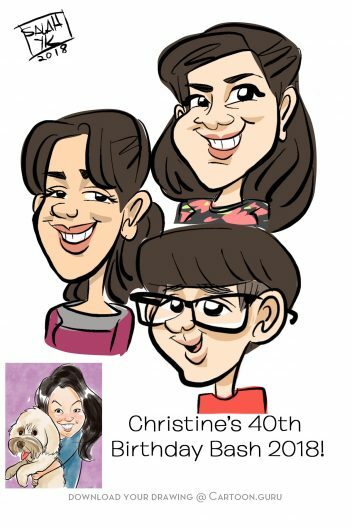 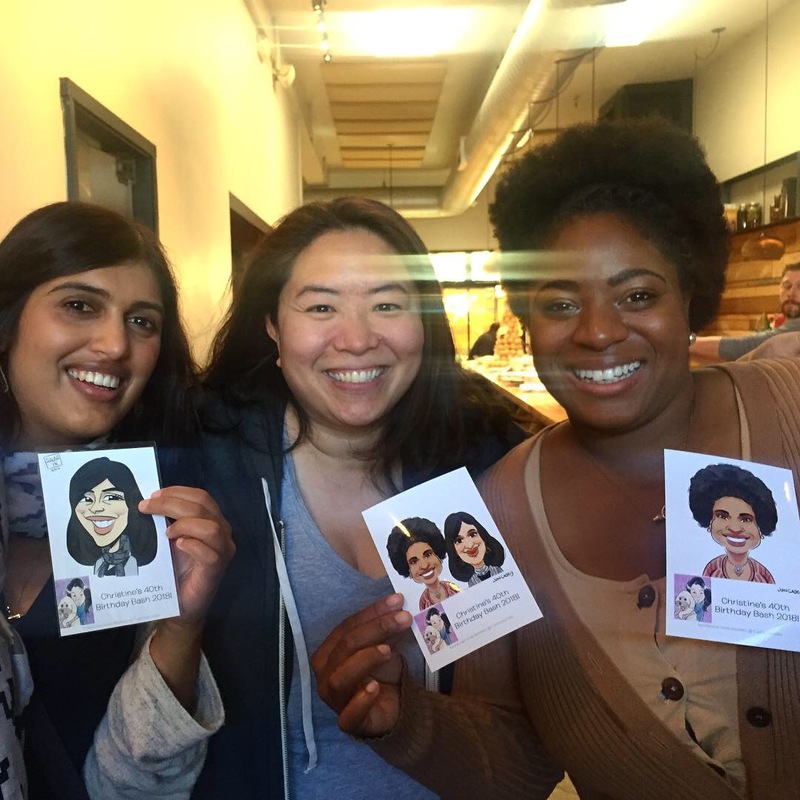 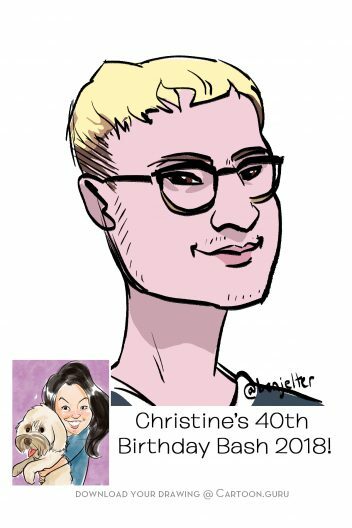 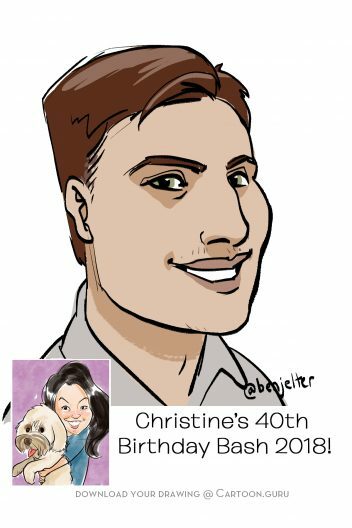 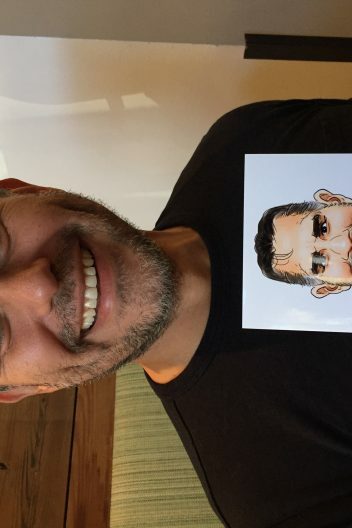 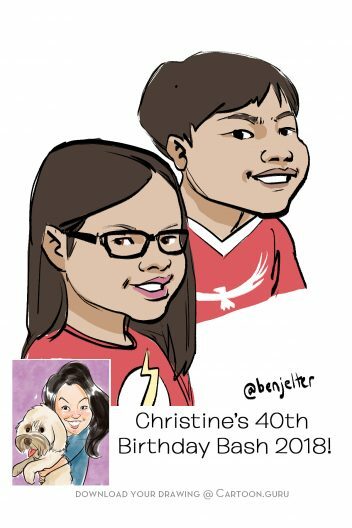 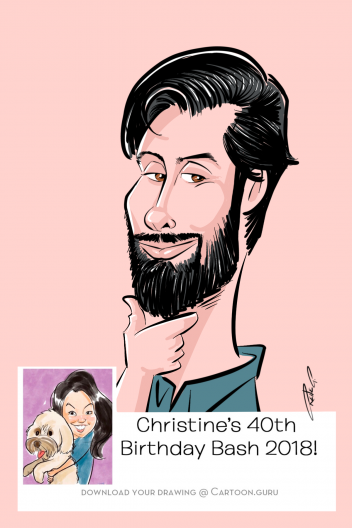 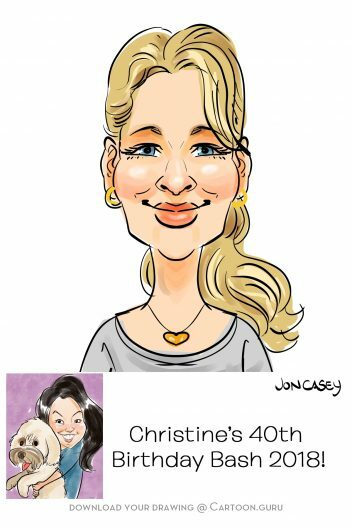 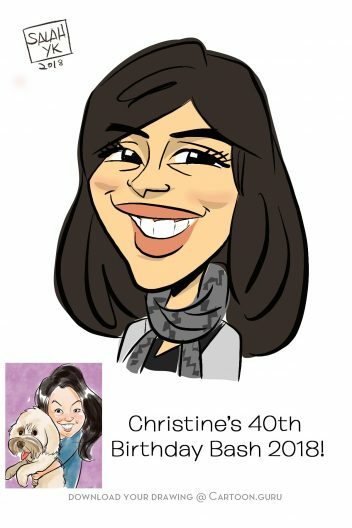 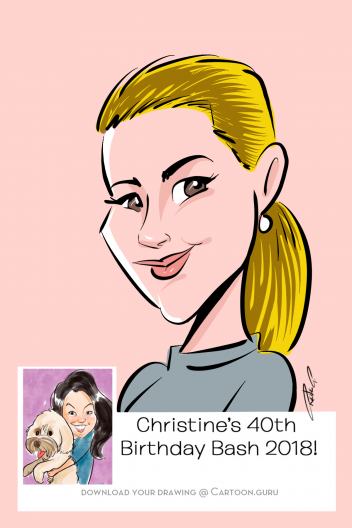 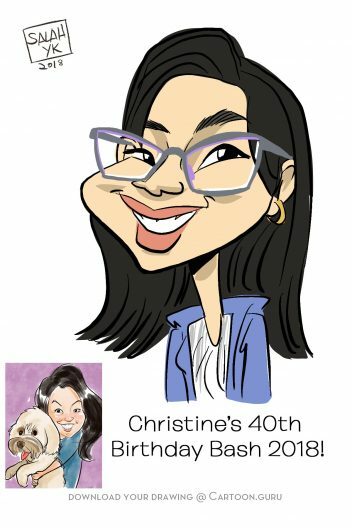 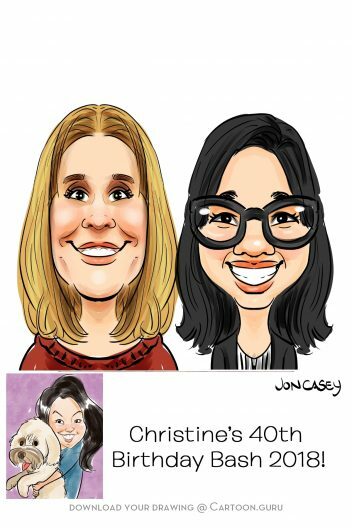 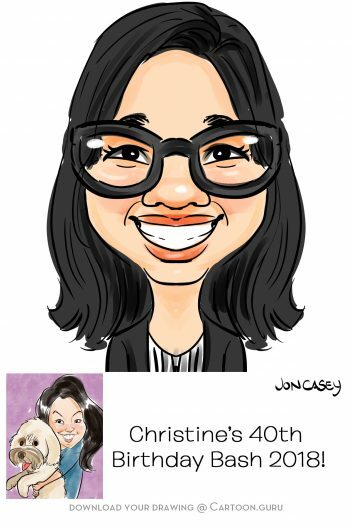 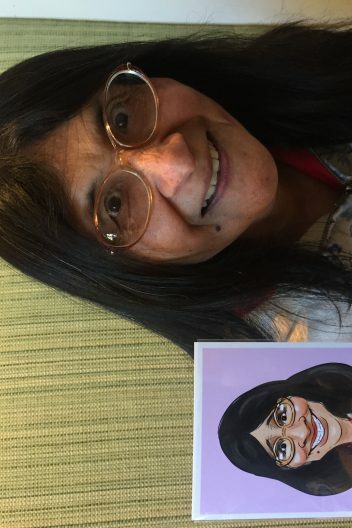 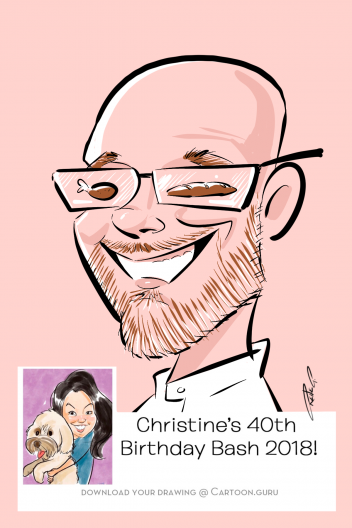 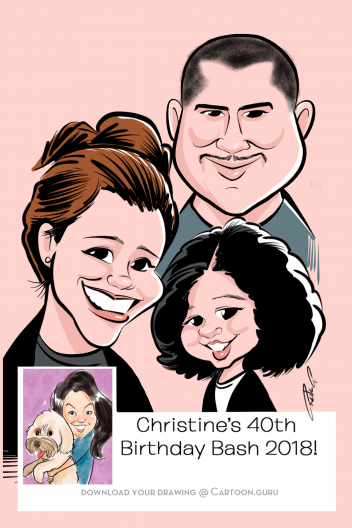 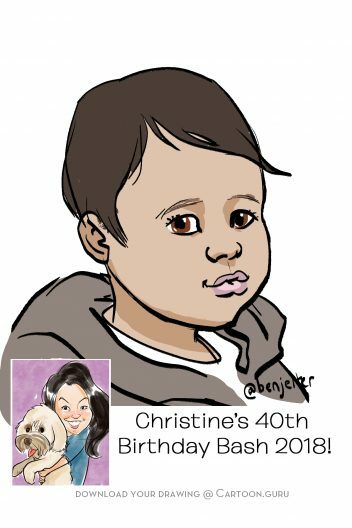 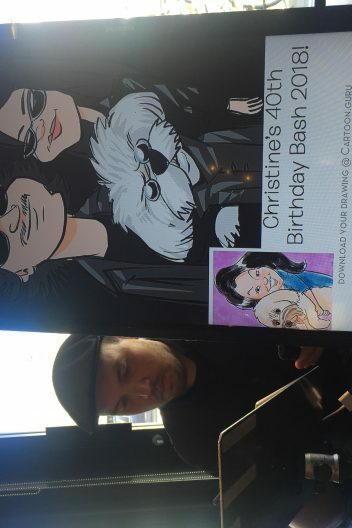 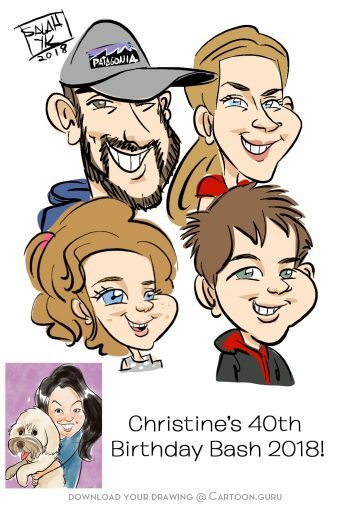 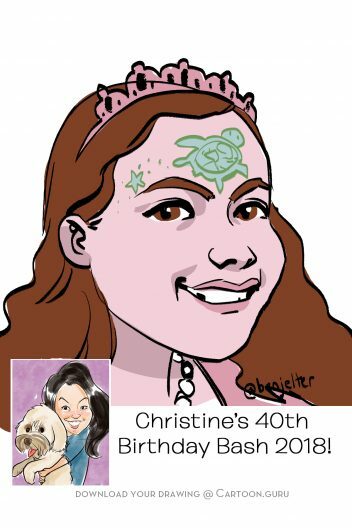 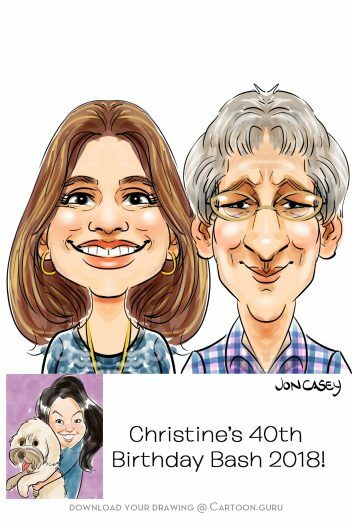 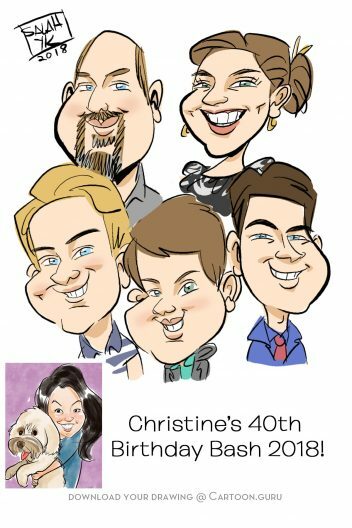 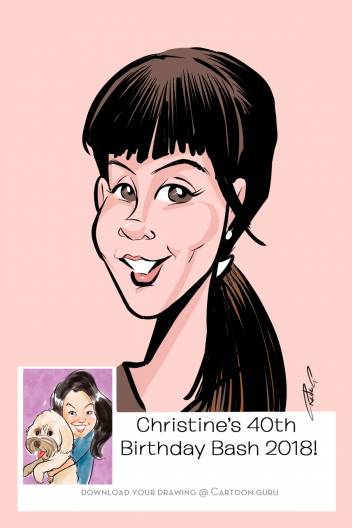 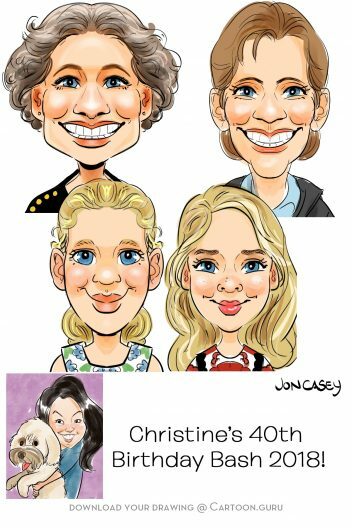 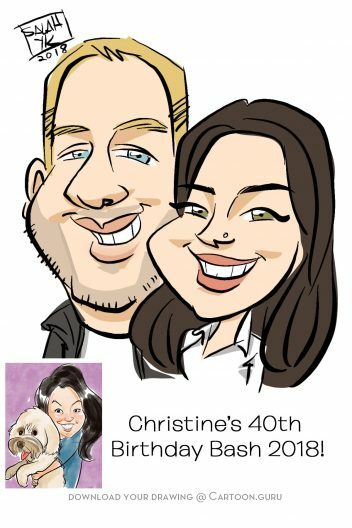 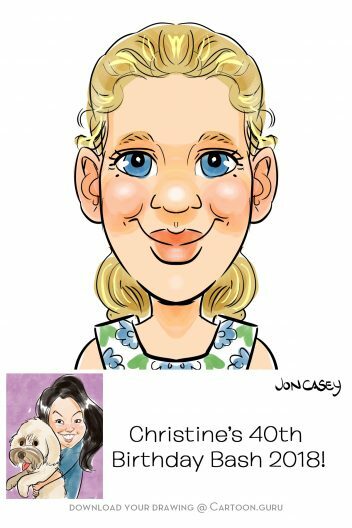 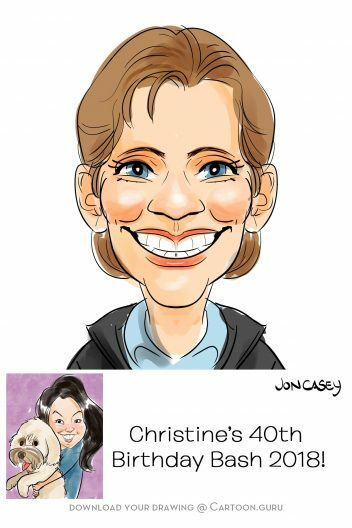 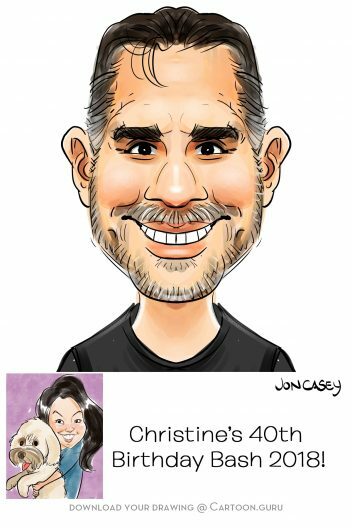 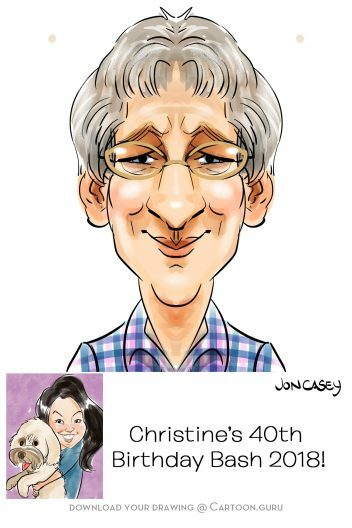 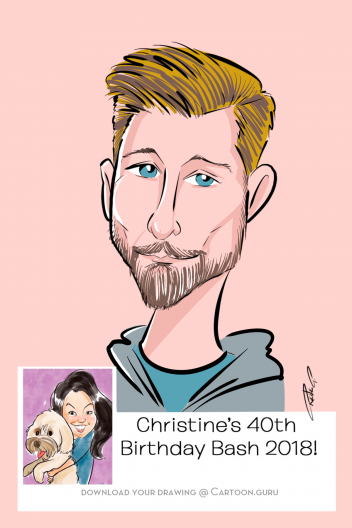 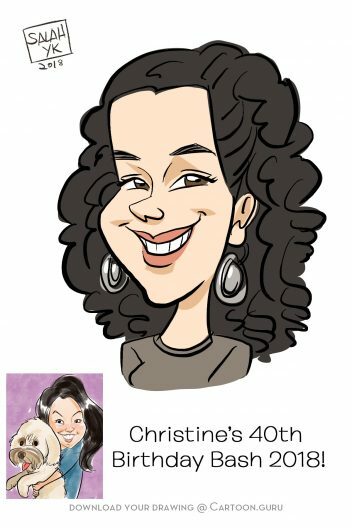 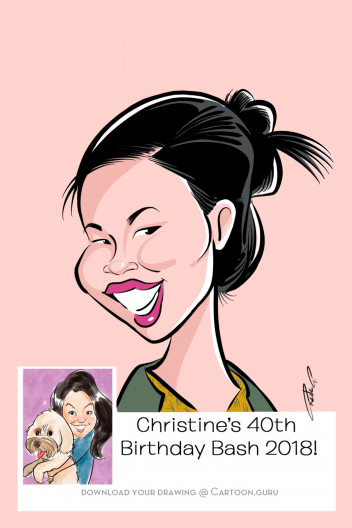 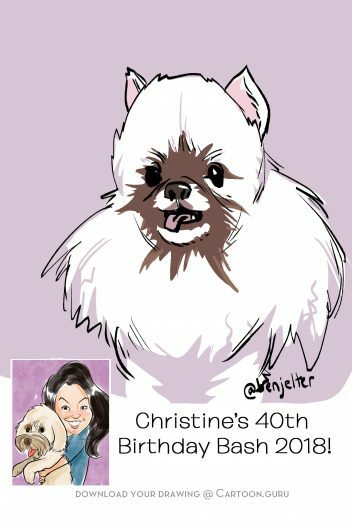 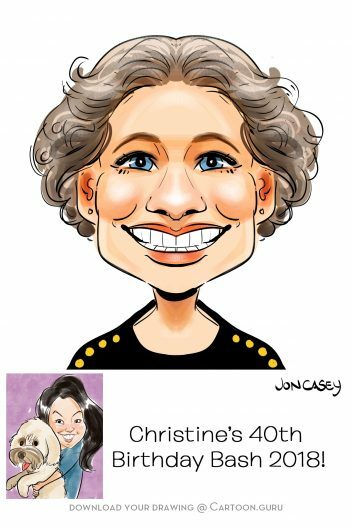 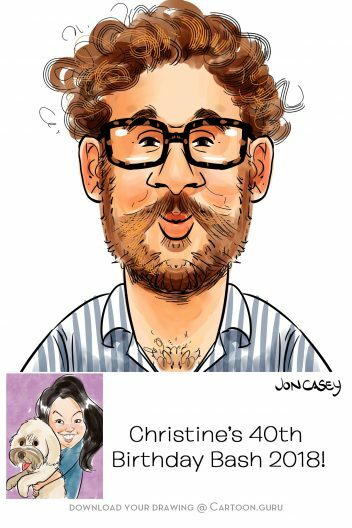 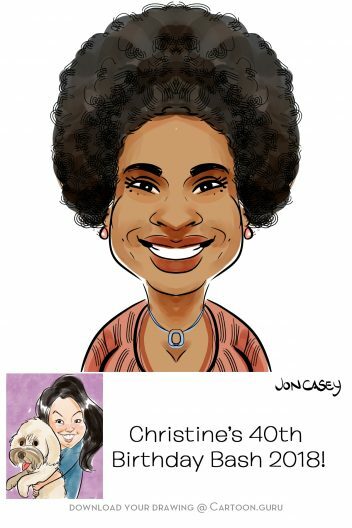 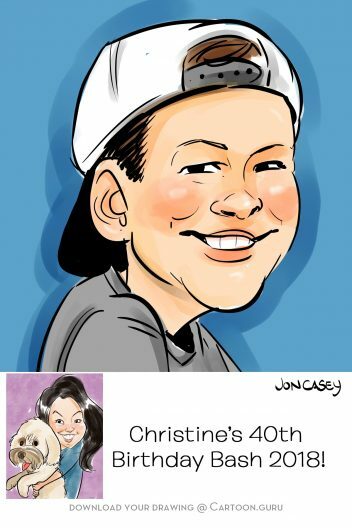 We have drawn for her dog Madison’s bday party for years in a row, and when she turned 40 she decided to give her friends and family the best of caricature treatment with four Cartoon.guru artists! 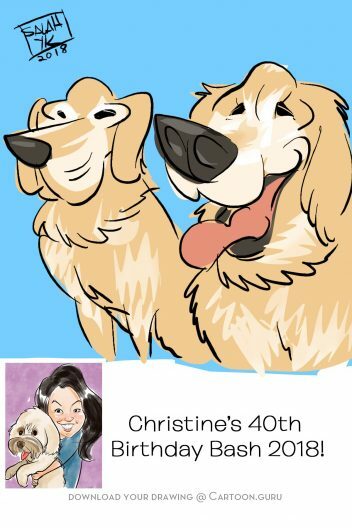 We love Christine!